The crew ready for the hike in. 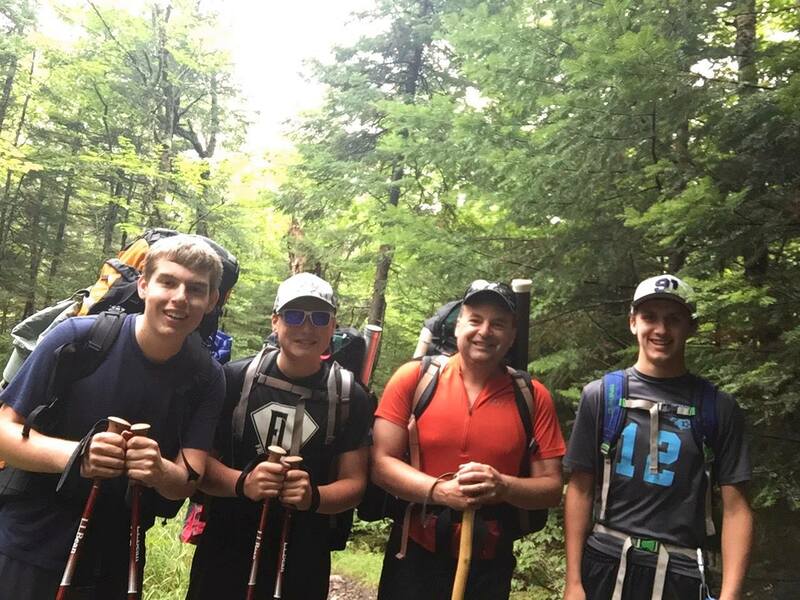 The hike into Russell starts at the Roaring Brook campground which is a popular starting point for hiking Katahdin. Our journey takes us 7 miles north into the central part of the park. It is the most remote campground in the park and is surrounded by views of the Kathadin range and very good trout fishing waters. We took the Russell Pond Trail on the way in which required a rock hop and a ford of the Wassataquoik stream but the stream levels were low so it was not too hard. the fishing to be extremely good this year. 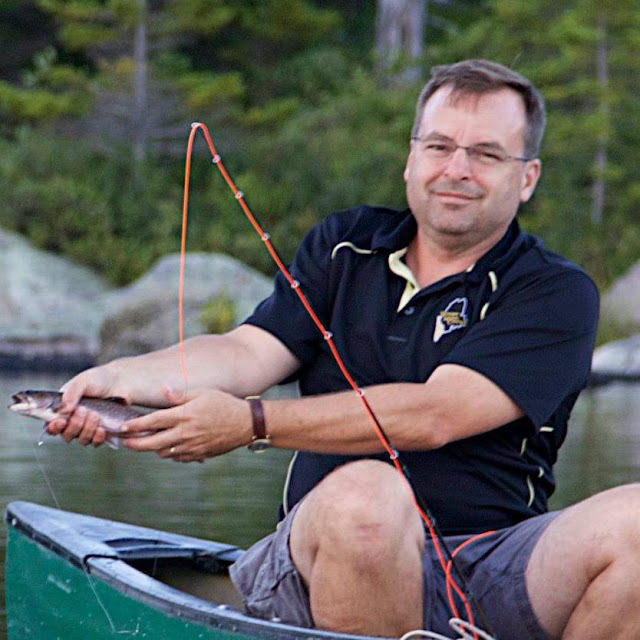 Each evening, the fish were rising on Russell and eagerly attacked our flies on the water. We found the most success with the Hornburg and White Wolf flies. We landed many trout in the 7" to 9" range, and each evening brought a fish or two 11"-12". Each evening we each landed 5 to 10 fish - mostly catch and release but we did keep a couple for the frying pan. These waters are designated heritage trout waters by the State of Maine and they have never been stocked with hatchery fish. An 11" Brookie on a Fly Rod is a lot of fun! These waters do allow bait fishing but this was the first year we all fly fished exclusively. All the boys did a very good job handling their fly rods and we had great success. The other spot we fished was an area called Six Ponds. 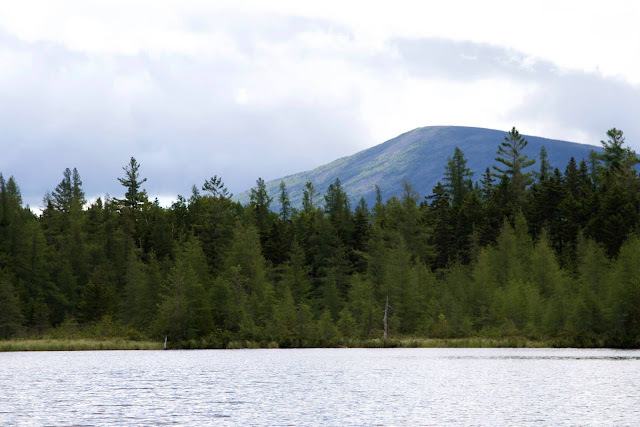 It is an additional 1.5 mile hike from the Russell Pond Campground. 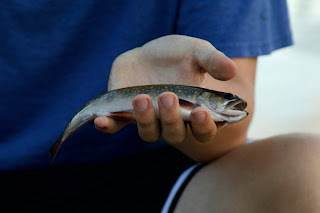 There are two canoes at Six Ponds and we spent 3 hours catching and releasing many fish. We found a spot where it was literally a fish every cast. Most of the fish are smaller in the 4" - 7" range but the non-stop action makes for a lot of fun. 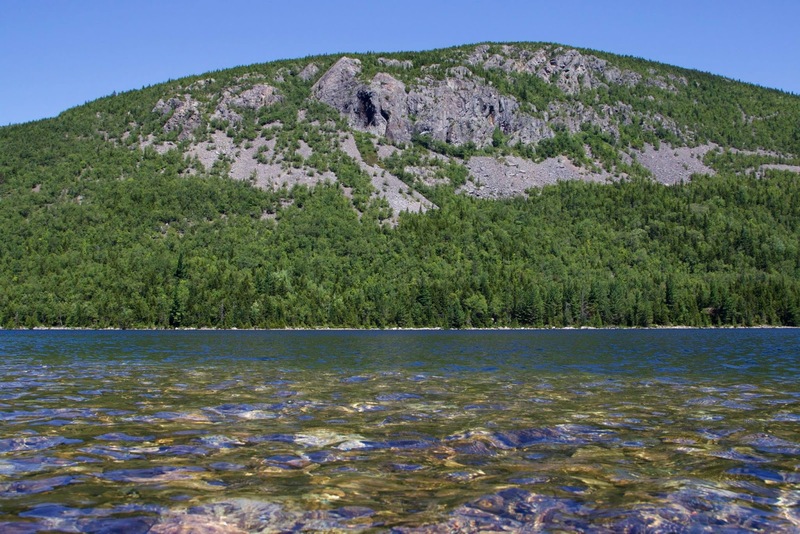 There are a lot of great side hikes easily reachable from Russell Pond. This year we took a hike to Wassataquoik Lake and Green Falls. Wassataquoik lake is a beautiful body of water. The water is crystal clear and as this green/blue hue that reminded me very much of the Caribbean. But make no mistake the water is much colder! The lake is surrounded by dramatic cliffs making for a stunning setting. 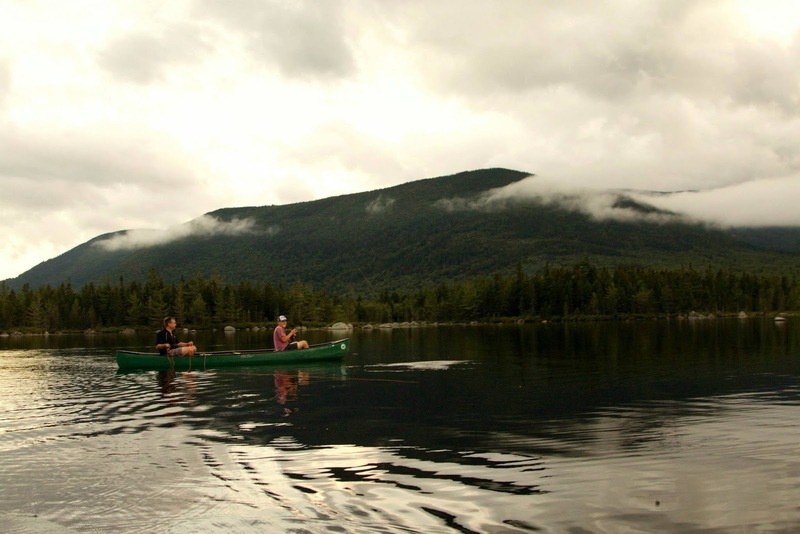 There are canoes available to paddle this beautiful spot. There are fish in Wassataquoik including the elusive Blueback Trout but we decided to leave our fishing gear at camp and just enjoy the beauty. About mid-way down the lake there is a short hike to Green Falls. 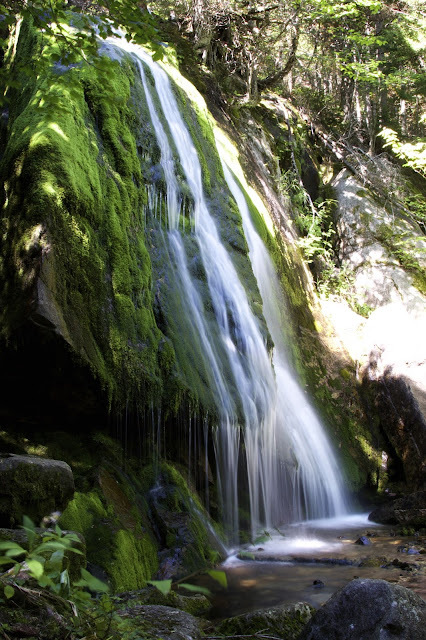 At this falls water cascades over green moss covered rocks. It is quite a sight nestled into the woods. We rented the bunkhouse at Russell Pond to enjoy good food, campfires, cribbage, stargazing and overall good times. It is a great way to unplug from the world a bit and enjoy some quality time together. Thanks to Alec, Caiden and Isaac for supplying images and videos of the trip. Here is a video compilation of our journey. Be sure to check out all the fish at the bottom of Six Ponds at the 2:30 mark!